I really want to be good at running. I do my best to get out for a run at least a few times a week. It can take as little as 20 minutes so there’s never an excuse not to to. Much as I would love to say that it’s time that holds me back, being too busy with work or with Libby, it’s just not true. The fact is, I’m just chronically lazy. Today, I really wanted to do our local ParkRun. My husband was free to look after Libby, the car was available so I could get there… but after a few glasses of vino last night, it clearly wasn’t going to happen. So it got to 6pm today and I was debating whether to run or not. Luckily though, as often, my motivation came from my equipment. 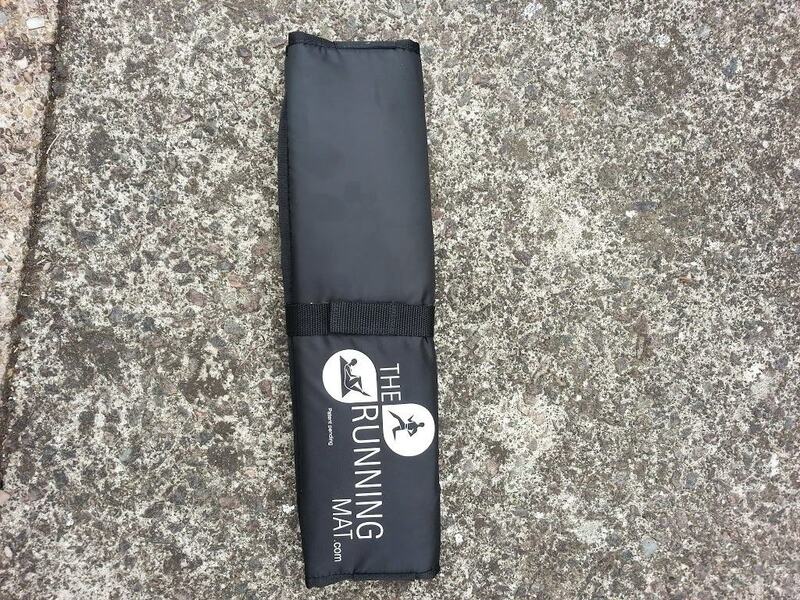 Last week, I received a brand new product to review, called “The Running Mat”. Dragging myself out for a run today seemed like the perfect opportunity to review it. I’ve noticed on their website that the product will be on this season’s Dragon’s Den. 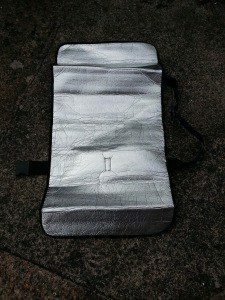 The mat is cleverly designed so that, when not in use, it folds up into a neat little package that clips around your waist on a built-in belt. The idea is that you run with the belt clipped around your waist. It is really aimed at people participating in boot-camp style training. You can run from A to B and then do press-ups, sit-ups, stretches or any other exercise that you want to on the mat. I don’t personally participate in boot-camps although this is purely because it wouldn’t fit in with my lifestyle, I actually love the idea of them. I always enjoyed circuit training and an outdoor, circuits-style workout really appeals. I can see how a mat like this would be advantageous for this type of training, particularly in bad weather when you don’t want to be scrabbling about on the floor. Running with the mat on was perfectly fine. To start with I noticed it was there, there was a bit of the belt left over from wrapping round me and it was initially flapping around. Once I’d sorted that out, I forgot the belt was there. 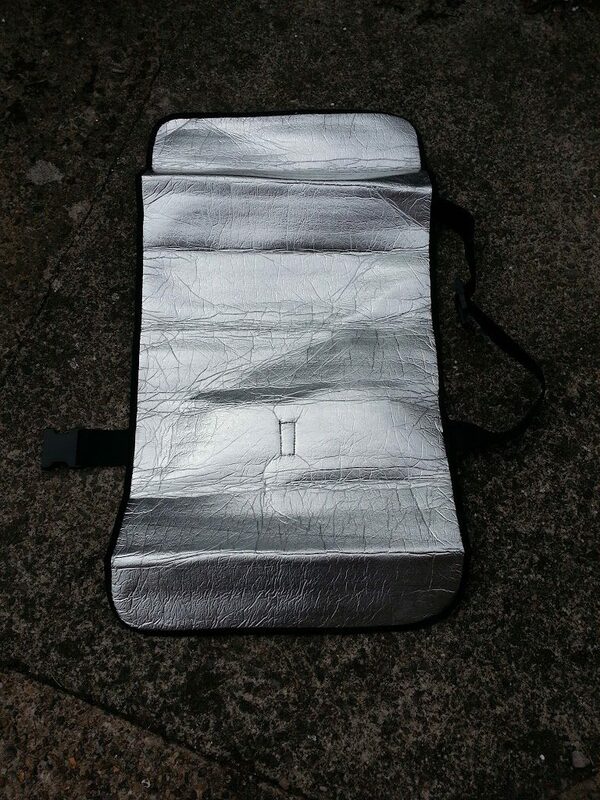 If you need to take a mat with you when running, I would definitely recommend this. It would also be great for walking with, providing a nice dry area to sit down on for a picnic. It was great for my aquathlon too, a big silver mat stood out really well in transition! This post wasn’t sponsored but I was sent a running mat to review. Views, opinions, laziness and determination to overcome it are all mine! Next Post Exciting new challenges!